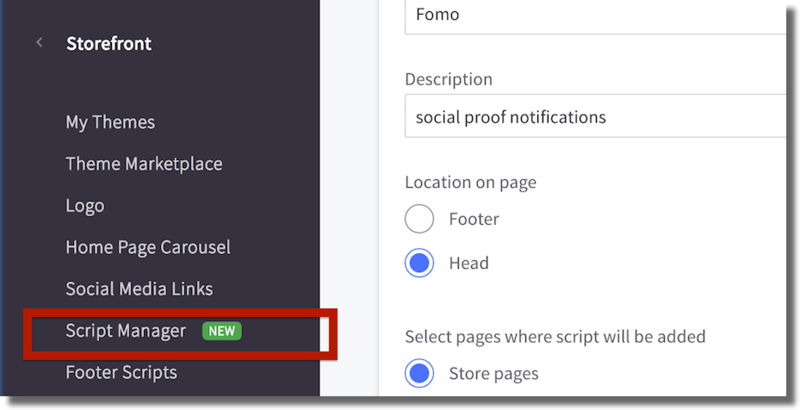 After connecting your BigCommerce store to Fomo, the last step is to embed a single line of code on your store, to begin showing Fomo notifications. 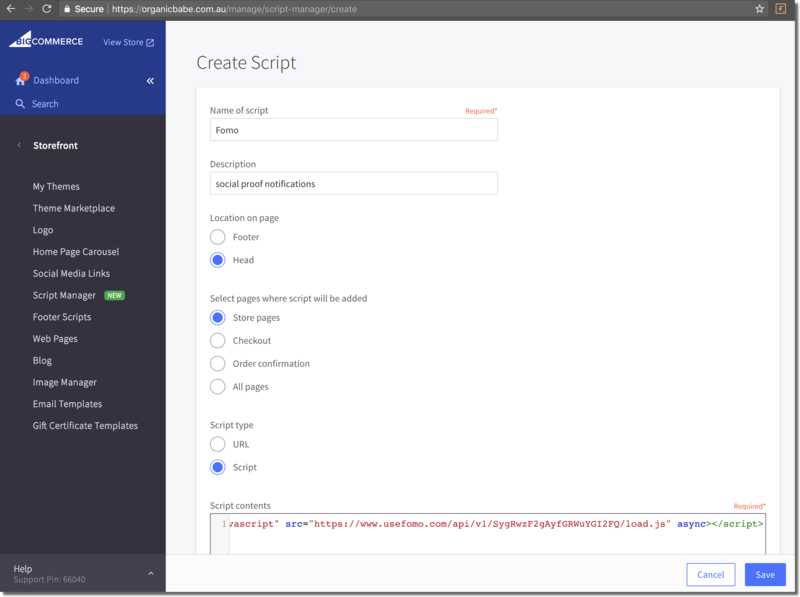 From your BigCommerce admin area, select "Script Manager". In the Script Manager section, fill out the sections name and editable. Click the button titled "Create a Script". In the resulting create a script page, fill in the details as pictured in the screenshot. Next paste your unique Fomo script tag in the Script contents box. After hitting the save button, you'll immediately begin seeing recent order notifications on your website, from your Events tab inside Fomo.